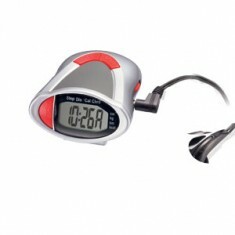 Long after the New Year’s Resolutions of years gone by have been forgotten, your branding will live on with our Promotional Pedometer range. 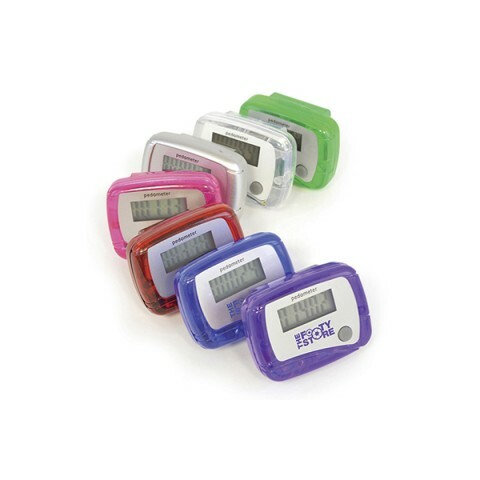 Branded pedometers are a fun and easy way to measure fitness and help create achievable personal goals, one step at a time! We have a range of custom printed pedometers for you to choose from, ranging from standard pedometers through to our high end 3D Sensor Pedometer, which has various functions such as a daily walking target, to help you get fit, and a highly accurate step counter. 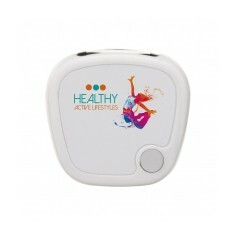 Personalised pedometers are great for fitness giveaways, outdoor events and raising awareness for health and exercise, and are sure to get you on your feet. 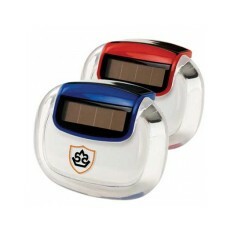 We particularly love our personalised Pedometer, as it comes in 2 smart colours and has a large branding area for your design. It also counts steps, calories and kilometres travelled to give you a full run down of your activity. 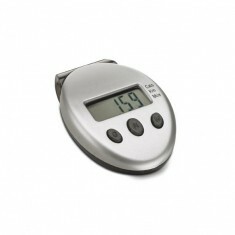 If you’re looking for a different shape to the standard rectangle, our CO2 Pedometer has a sleek rounded finish, and has the added function of measuring the CO2 that has been reduced by walking instead of taking the car, making it a great eco giveaway! 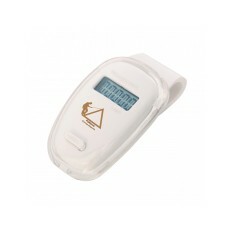 Why not request a sample and test out one of our pedometers yourself. 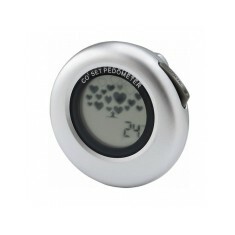 We provide a fantastic range of personalised pedometers, excellent for monitoring your exercise levels. 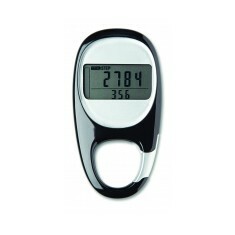 As people increasingly enjoy following exercise routines, custom printed pedometers provide a great promotional gift and are sure to be well received by any recipient. 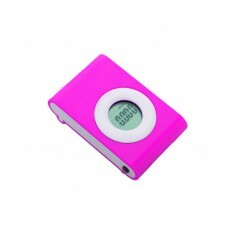 Take your pick from a number of styles and colours, with various functions. If you have any queries please do contact us. 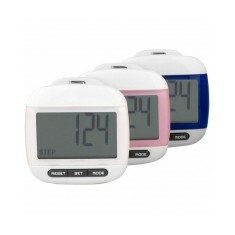 Classic style pedometer. 6 translucent colour choices. UK stocked. 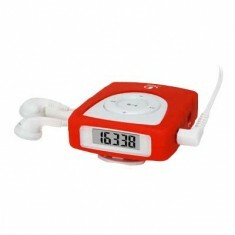 Pedometer (step count only) with built in MP3 player. Choo.. 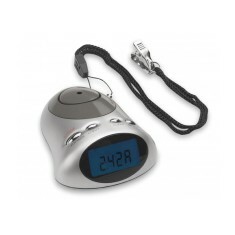 Enjoy your hike with our colourful digital pedometer. This.. 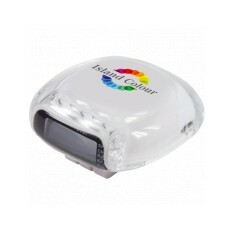 Walk off your lunch with our custom printed Elipse Pedomet..
LCD display. 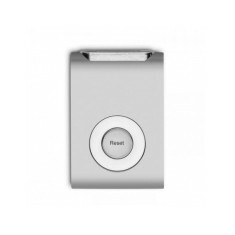 Auto shut off power saver. Battery included. Printed to the top. Counts steps, kilometres & calories burned. Printed spot or full colour. Don't feel guilty about your burger for lunch with our cus.. 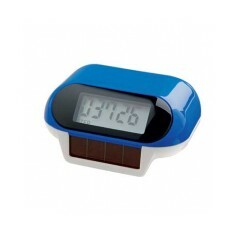 Solar powered pedometer featuring steps, distance travelle..
Pedometer with radio plus time, alarm, stopwatch, distance.. Measures calories burned, distance travel, target steps an..
Keep count of your steps in style with our funky custom pr..
A plastic digital pedometer that counts calories as well as measuring distance.. Perfect for that post holiday health kick! This custom pri..
Easy to read jumbo digits. Built in belt clip. Auto shut o.. 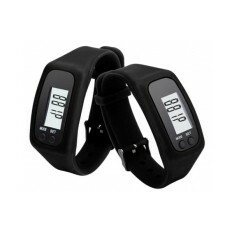 Inexpensive pedometer bracelet that tracks basic fitness like amount of steps,..
Customised in full colour. 3 trim colours. Clip attachment. Top display screen.